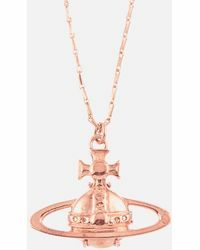 With influences as diverse as human rights and classical fiction, Vivienne Westwood translates its directional ethos into every piece. 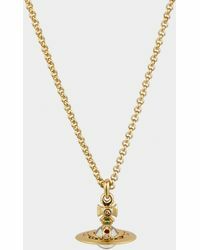 Well known for its craftsmanship and punk roots, the rebellious brand translates both of these into its range of necklaces. 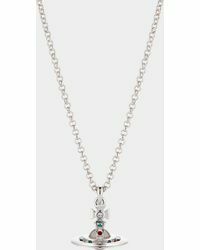 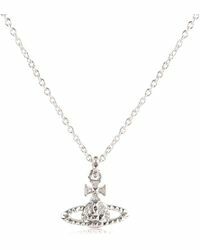 Expect to see many interpretations of the iconic Vivienne Westwood orb, whether as a diamante pendant, fashioned from different coloured stones or presented in a chandelier style. 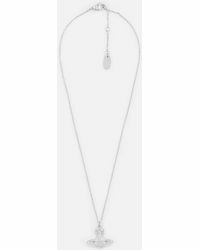 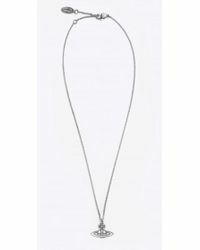 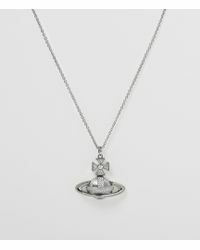 Slip on one of Vivienne Westwood's striking necklaces and lend your look a statement focal point.